Save Money and Time When you do business with members of Springfield's Best! 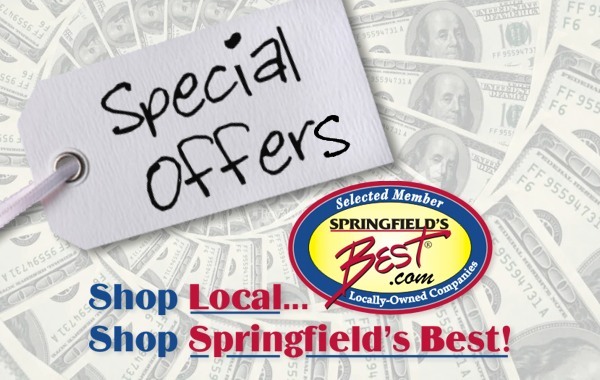 Great Deals from These Springfield's Best Companies! Springfield's Best is updating offers from participating member companies. Please check back soon for the latest discounts from these super companies.